Additional Info: A table top ironing board, hairdryer and coffee maker are also available. A non-refundable deposit of £100 is required at the time of booking. The balance is payable 6 weeks prior to the commencement of the holiday. A refundable damage deposit of £75 (to cover any loss, breakages etc) will also be payable with the balance, 6 weeks before holiday date. Check-in time is 2:30pm to 5:30pm. Check-out time is 10am. 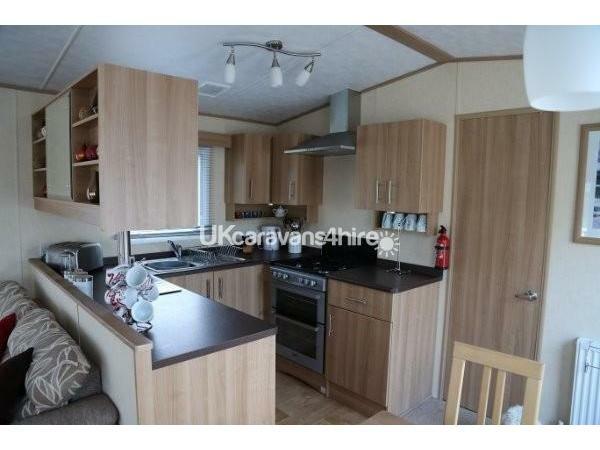 3 Bedroom caravan (1 double, 2 twin), fully double glazed and centrally heated. The lounge has a flat screen HD colour TV (freeview), DVD player and Ipod docking station. The dining area has a table with 4 chairs. As well as the main toilet/shower room, the master bedroom has an en-suite toilet and wash basin. The master bedroom also has a TV. There is also a pull-out sofa-bed in the lounge. 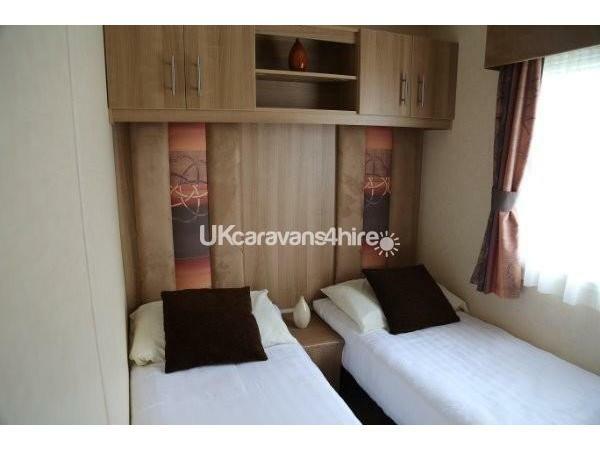 The caravan comes fully equipped with all usual modern conveniences. French Patio doors open onto the large decked patio area, which is equipped with outdoor table, parasol, 4 reclining chairs, and 2 sunbeds for your enjoyment. A small rotary washing line is also provided. Pillows and duvets, with protective covers, are provided. All other bed linen (sheets, quilt covers, pillow cases), towels (hand, bath, and beach) and toiletries are not provided. 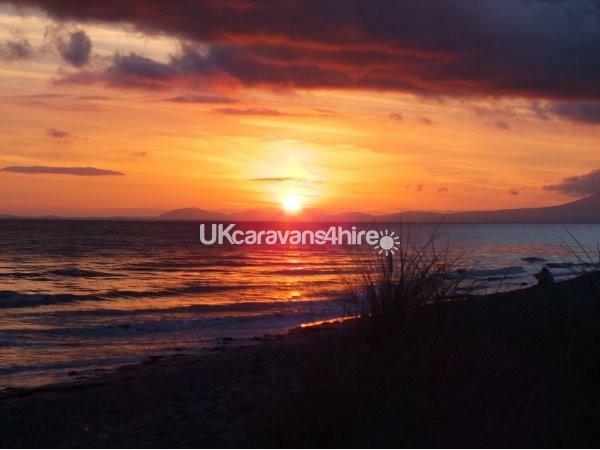 The caravan is sited on the edge of Barmouth Bay Holiday Park, and has fantastic views over to the picturesque mountains of Moelfre and Y Llethr. The secluded beach is 2 minutes walk away. Talybont is situated between the harbour town of Barmouth, with its variety of shops, restaurants and bars, and the historic town of Harlech, which is home to the castle and Royal St David's Golf Course. Slightly further afield you will find Porthmadog, and the popular tourist village of Portmeirion, whilst Caernarfon and the island of Anglesey are within an hour's drive away. Additional Info: The Indoor swimming pool requires a pass. This is included in the cost of the caravan hire, but please note £10 will be deducted from security deposit if pass is lost. 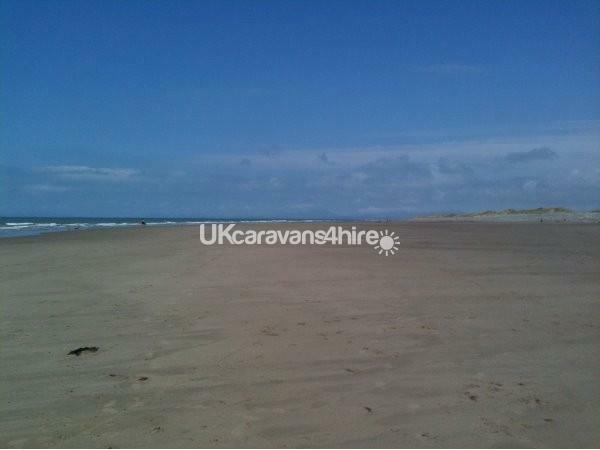 Barmouth Bay has direct access to the beach. The site offers a children's play area which includes a fenced enclosure for 5 aside football, cricket and basketball, as well as a separate play area next to it for younger children which includes slides,, swings and a climbing frame. Next door to Barmouth Bay is The Sands Complex. Here you will find a supermarket for all your essentials, a fish and chip shop, a club/bar, and amusements. 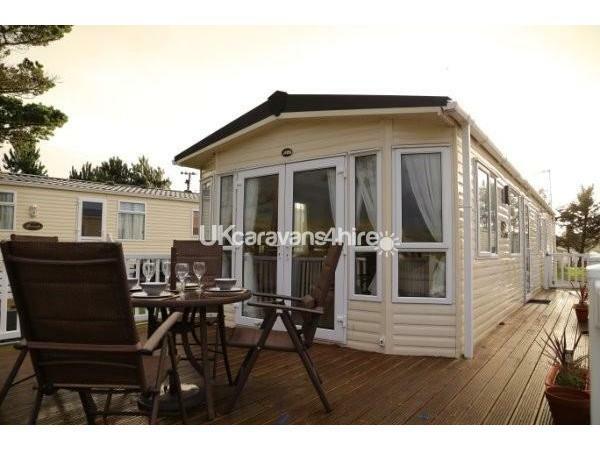 We loved the caravan, from the comfort and cleanliness to the beautiful views from the sitting area at the back .we really could nt fault the caravan or the site. Thank you for a great holiday. This was our second stay in this lovely caravan . Every thing you could wish for. knowing the two little ones were enclosed in the outside space was fabulous. The view is really lovely. We are all looking forward to our third stay in 2016. Thanks Jon and Jan.
Lovely Caravan in perfect location on park overlooking countryside and hills, very clean and full of all your home comforts. Booking process was simple and easy. Would recommend. 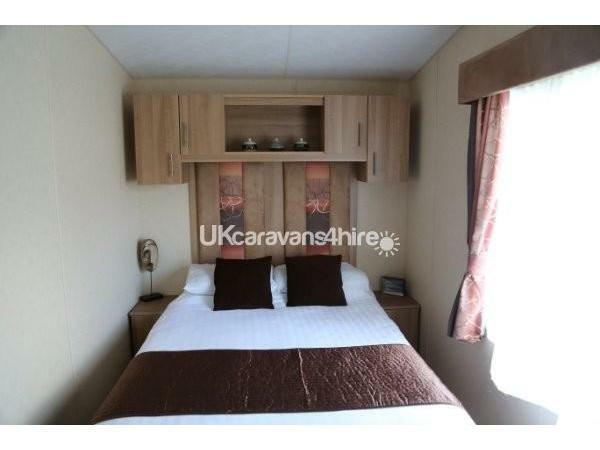 Lovely spacious caravan, very comfortable and clean. 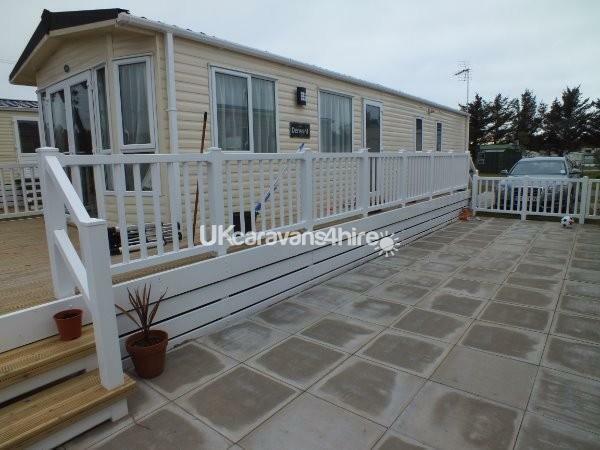 Great decking area to enjoy a glass of wine in the evening and watch the wildlife in the fields behind the caravan. All the comforts of home (even a TV in the main bedroom). We had a lovely relaxing time, thank you. 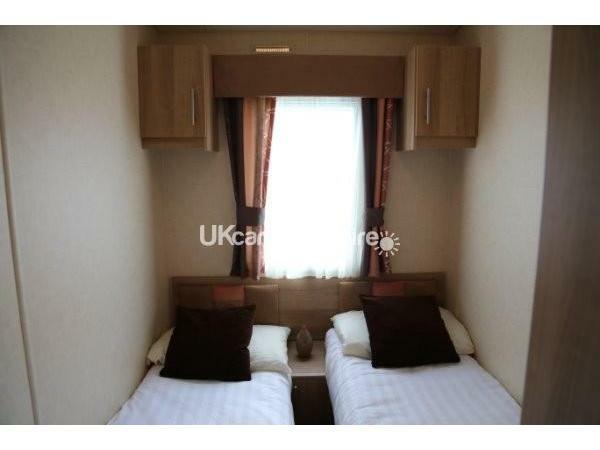 Caravan location is a great base to explore area and being within walking distance to beach is ideal with 2 young children. Caravan itself very clean, comfortable and spacious. Big bonus was the lovely decking area with stunning views to relax of an evening time. There is also a gated flagged patio area which was an ideal safe area for children to play.